Step 5: Updates installed successfully. 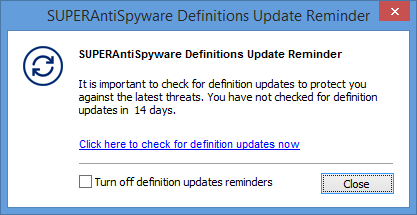 Step 6: Check current status. 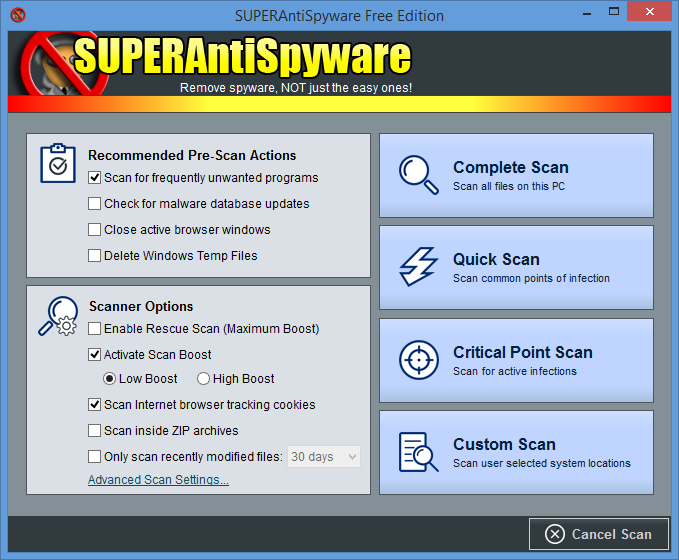 Click on Scan This Computer to begin scanning. Step 7: Choose any of the options from right panel. Step 8: Quick Scan in progress. 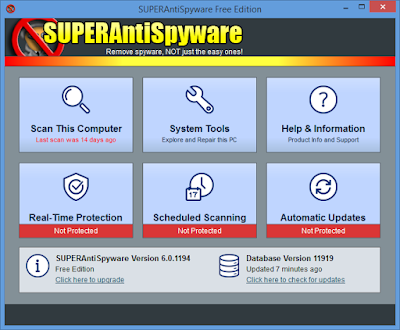 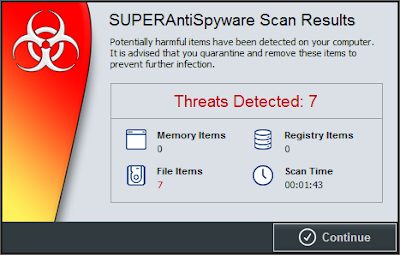 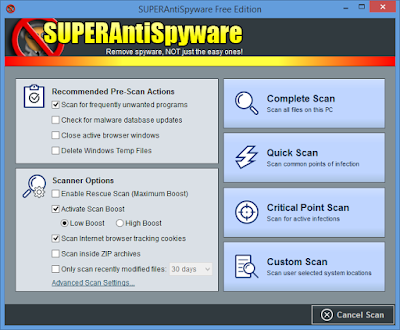 Step 9: SUPERAntiSpyware Scan Results showing detected threats. Step 10: Click on Continue button at bottom to start removing threats detected. 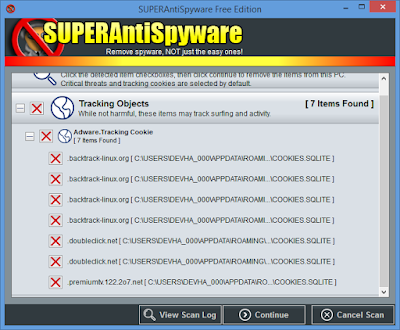 Step 11: Browsers should be closed before cleaning cookies. 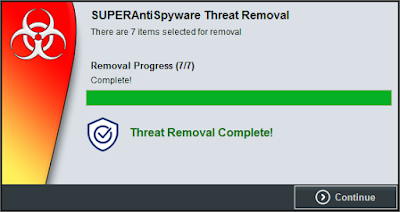 Step 12: Threat removal process is complete.